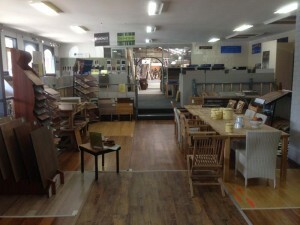 HMC Floor Coverings is a locally owned and run business in Geelong that commenced in 2004. A discount carpet and vinyl clearance centre, our goal is to supply our customers with products of exceptional quality at highly competitive prices. We have over 500 rolls in stock, buying in bulk so that we can offer a large variety of carpets, bamboo flooring and vinyl flooring at a fraction of the price. Come down and see us at our warehouse on West Fyans Street – we stock a huge range of discount carpets, carpet and vinyl floor accessories, carpet samples, short ends, discontinued lines, rugs and mats. Whether you need carpet or vinyl floors for one room or an entire house, phone us on 03 5221 3348 for a free measure and quote. While we are based in Geelong, our services – including carpet laying, vinyl flooring installation and carpet overlocking – are available in Lara, Werribee and Bannockburn; Apollo Bay, Torquay and Lorne; Queenscliff, Clifton Springs and Barwon Heads; Winchelsea, Colac and Teesdale and everywhere in between.